As seen worn by modern members of the German Bundeswehr, ready for costuming or just day-to-day use in the field. Red color denotes artillery or other support services. 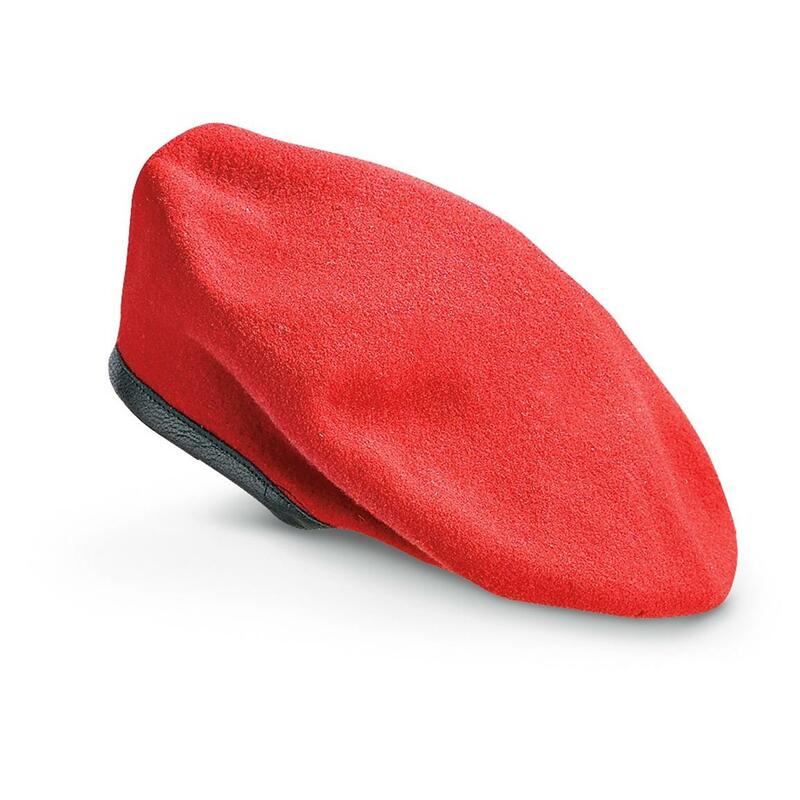 German Military Surplus Red Wool Berets, 2 Pack, New is rated 4.9 out of 5 by 7. Rated 5 out of 5 by SuzyQ from Really great ! They fit my husband to a tee. The Red color is beautiful. Rated 5 out of 5 by TIM from Great buy! Made by Sturm and like every Sturm article of clothing I've ever owned, it fits like you born wearing it! XL is a 7 3/4 out of the package, without adjustment. Excellent quality at a fantastic price! Rated 4 out of 5 by YULANG from not as described, items were used. Rated 5 out of 5 by CHRISTOPHER from Great value. I got two for the price of one. My boy scout color guard loved them and the boys with large heads were able to fit in them. Thanks Garry...your the best ! Rated 5 out of 5 by JOHN from Brand new, perfect fit! Rated 5 out of 5 by OMID from nice items, brand new.